May 09 Comments Off on Nurses Week! 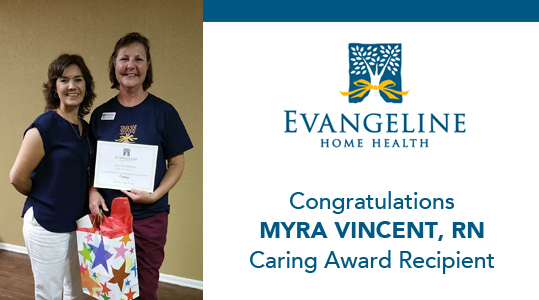 Evangeline Home Health announces the newest recipient of our character award “Louisiana Culture”, Jennifer Carter, CNA. Jennifer was nominated by her peers for her kindness and for the true spirit of Louisiana she shows daily through her hospitality and friendliness. Jennifer is from Elton, La. She has been a part of our team for 17 years. She loves everything about Louisiana…the people especially! Jennifer, thank you for sharing the love we have for our culture with everyone you meet. 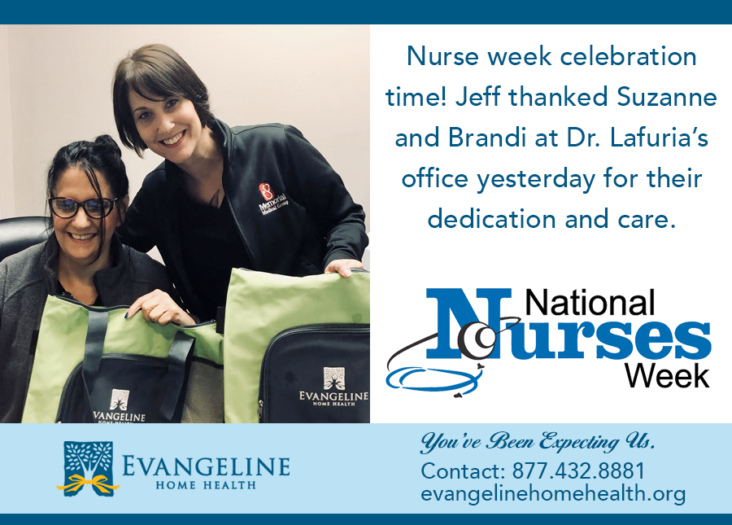 It is truly why Evangeline Home Health considers this characteristic SO important to who we are! 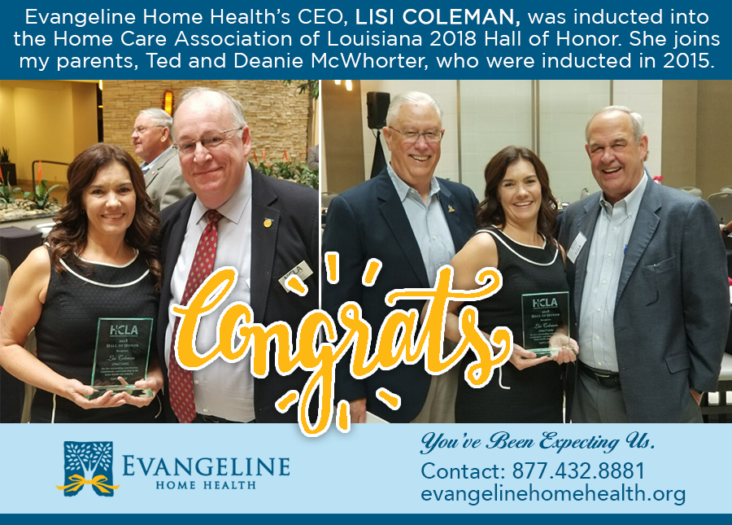 The Evangeline Home Health Characteristic Award is an ongoing opportunity for our team to acknowledge the hard work of their coworkers by sharing the amazing things that make each person so special. 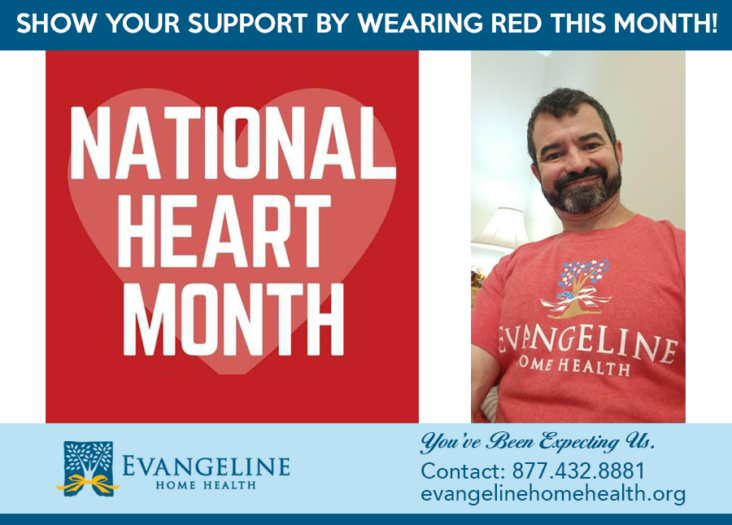 The characteristics that we will present an award for are those characteristics that we have defined make Evangeline WHO we are. 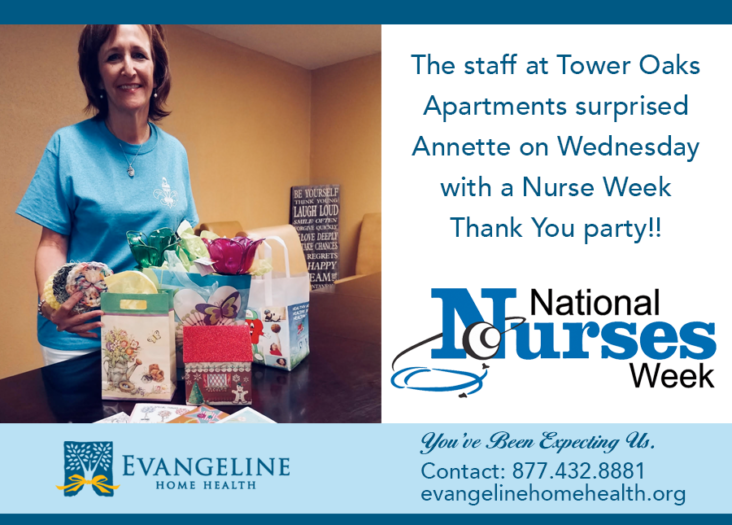 Thank you all for participating in our first Evangeline Home Health Characteristic Award nominations. There were several people who recognized their coworkers and all had wonderful things to say about each! We are honored and proud to be a part of such a prestigious group who care so much for each other and the patients they serve. Please congratulate her for this honor! I nominate Myra. She is ALWAYS putting others before herself, showing compassion and love to every stranger. She is smart, thorough, willing to teach or help anyone despite the time it requires and the risk of denying herself. She is the true model of what a NURSE means. 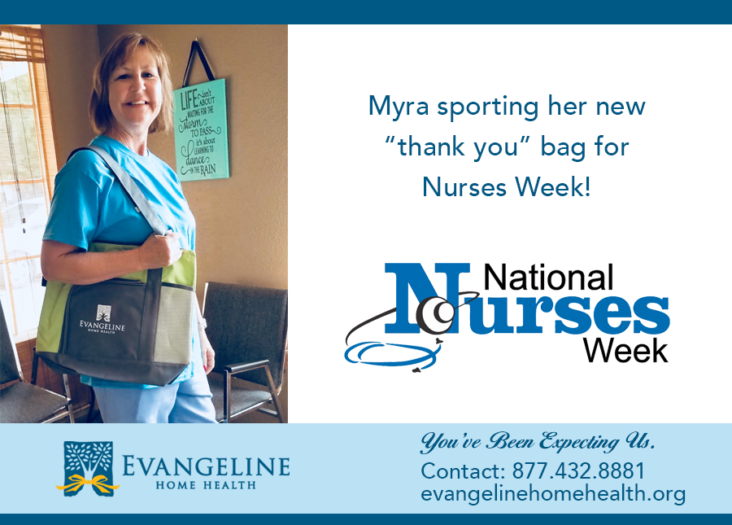 Myra is my nomination for the Caring Nurse Award. 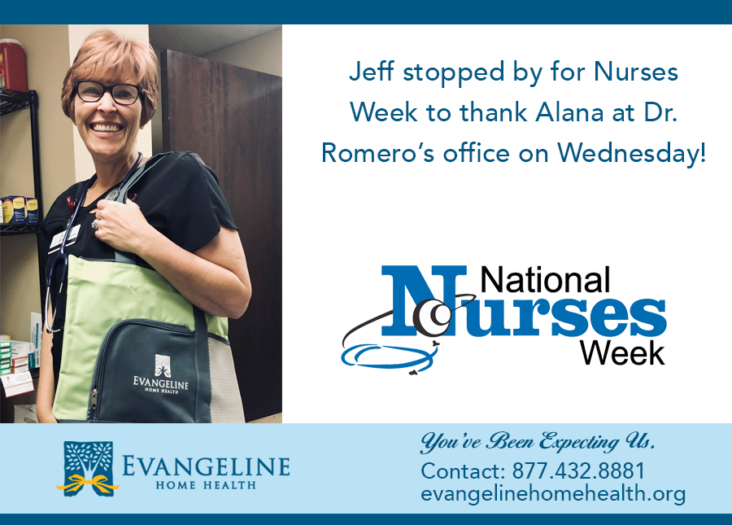 She always is concerned about the patient’s well-being and goes out of her way to help the patient, including buying things for the patient out of her pocket if they are indigent or getting community resources for them to get groceries. She loves the patients!